Texoma Trailer Body & Welding in Iowa Park also provides farm and ranch beds. Put your needs in our capable hands. Whether you need a bed to haul livestock across the state or to haul hay across town, you can trust us to find the perfect bed for you. You’ll get service that’s second to none with our team and an experience that’s affordable, honest, and professional. We serve Witchita Falls and nearby areas as a home grown, licensed, and full ensured company. J & I Manufacturing builds trailers, truck beds, bale movers, boat dock floats, cables, and more. Their truck beds have been proven to be high quality for over 30 years and work for hay, cattle, pulling a rig, or simply running errands. These truck beds attach to the cab with a headache rack and have a sturdy, spacious flatbed on them. They also have beds with squeeze arm options. We have truck beds designed especially for farming, and are used to haul hay, lumber, feed, and equipment. 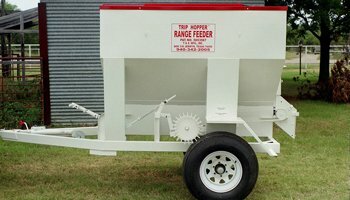 This includes bale spike beds and feeders, along with beds that attach to a tractor, designed for tilling the fields or distributing fertilizer. Texoma Trailer Body & Welding also has ranching truck beds available, designed for the durability, performance, and style a ranching professional needs. A few features include a turnover ball hitch, narrow bulkhead, and narrowed pintle hitch. From hauling small loads across town to hauling heavy duty loads across the state, we have the product you need to get the work done. We have the bed you need to secure and haul hay, including bale spike beds that hold the hay together. These wide flatbed trailers can attach to any truck cab or transport trailer. The height of these trailers is designed for easy loading and unloading. When you need to transport cows, sheep, horses, pigs, or other livestock to another location, we have the trailers you need to transport them safely and comfortably. These trailers can be attached to any truck cab and feature windows and ventilation, a fully enclosed roof, and compartments for their food and water bowls. There are designs for one or several animals and the floor of the trailer is moisture resistant for easy clean up when needed. Come see the staff at Texoma Trailer Body & Welding, and we’ll help you find the best livestock transport product for your needs.